Congratulations to Alessandro Morari and Roberto Gioiosa, computational research scientists at Pacific Northwest National Laboratory, on winning the best paper award at the International Parallel & Distributed Process Symposium (IPDPS) in China. Their paper "Evaluating the Impact of TLB Misses on Future HPC Systems" was named best paper in the software category. 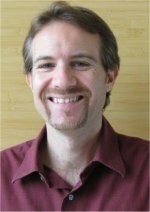 IPDPS is a premier international forum for engineers and scientists from around the world to present their latest research findings in all aspects of parallel computation. Alessandro and Roberto are staff members in PNNL's Computational Sciences & Mathematics division where they focus on high performance computing research such as the topic of their paper, which sheds light on performance issues for large parallel systems used in scientific research.